PeopleSoft delivers a Journal Import Spreadsheet (Journal Import user interface) to enter journals using MS Excel and then to import them into PeopleSoft. We can enter journals into the Excel sheet even when offline however we need to be online to perform the import. This can also come in handy when doing bulk imports. Below screen shows us the homepage of the Journal Import user interface. I had a strange issue last week, wherein my users were not able to import journals into PeopleSoft. All buttons were working except the “Import Now” button. 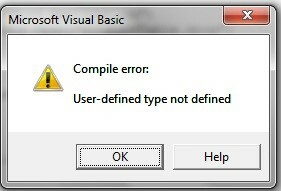 “User defined type not defined” was the error as shown in the below screenshot. As soon as you click on the Import Now button, the Visual Basic screen opens up highlighting the line causing the error. I’m no geek in VB, so it was hard to figure out – I suspected the configurations and settings. 1. 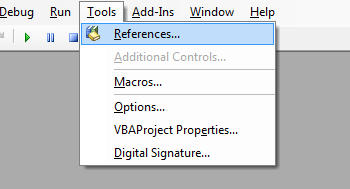 So I Checked if all the needed stuff were checked or not in the VB Editor – JRNLMCRO – Tool -> References. msxml3.dl was there checked. 2. Then checked the Macro security settings and trusted site settings. Nothing helped. A bit of googling showed up an article (Thanks Philippe Collignon) from IT Toolbox which saved my day. The post instructed to correct all the “MSXML” words in the function where the error has popped out to “MSXML2”. And also “XMLHTTPREQUEST” to “XMLHTTP60” if referenced by MSXML 6.0 or to “XMLHTTP” if referenced by MSXML 3.0. Voila! It started working like a charm. Our admin team had applied some Microsoft VB patches which had caused the issue.